Sciatica is not a disease. Rather, it is a group of symptoms that are typically caused by a number of issues such as a herniated disk in the lower back. In other words, sciatica is the manifestation of a more serious health issue, but not a disease. If a disk herniation occurs as a result of a work injury, it would be prudent to receive treatment at a workers comp clinic with a pain doctor. While surgery may be the appropriate method to treat sciatica, it is not the only effective form of treatment. Typically, surgery is the last option recommended by a workers comp pain management doctor. The most common treatment pathway consists of starting with the least invasive treatment options. There is some downtime associated with undergoing surgery. The best option is to find a knowledge and reputable workers compensation doctor who can recommend less invasive, yet effective treatment methods. Typically it is best to explore other treatment options before considering surgery. Treatment options such as an exercise program, stretching, soft tissue therapy, dietary adjustments and other lifestyle adjustments can help you find relief without having to go under the knife. Epidural injections often help people avoid surgery. problems including making the issue worse. Inactivity over a lengthy period of time can actually cause sciatica and other back problems. Spinal stenosis: this is caused by a decrease in the canal between vertebrae., which puts pressure on the nerves. 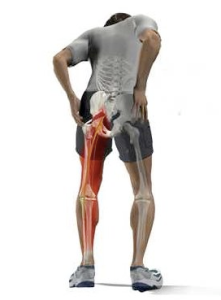 Trauma: accident or injury to the back can cause sciatica. 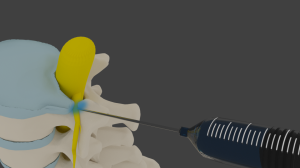 Degenerative disk disease: disks in the lower back associated with injury or aging can lead to sciatica pain from a torn disc leading to a chemical inflammation. Spinal tumors: tumors in the low back area can compress nerves. This is a less common cause of sciatica. Sciatica can affect anyone. It does not run in families. There are a variety of causes, but family health history is not one of them.